Great for both daytime and nighttime use. Gentle and absorb quickly. The Absolute Must Have Product! This is the best serum I have ever used. 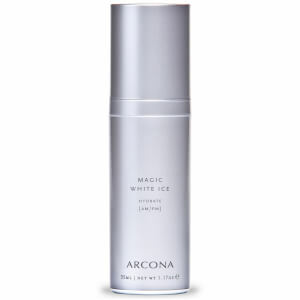 It is amazing alone or as adjunct with other Arcona a.m. serums. However, if I am limited on my budget, this does wonders even with a basic drugstore sunscreen on top. It is hydrating yet lightweight. Booster Serum firms, tones and brightens my skin AND works just as well in summer (weightless), as it does in the winter (hydrates amazingly well). I am NEVER without a back-up bottle of this amazing stuff!!! First I just want to buy a serum for daily use and did not expect it to be that amazing! It smells really good and smooth out several small breakouts. I have for month! Definitely recommended! This serum really brightens and firms your skin. I get the ARCONA glow with this serum. I highly recommend ARCONA products! 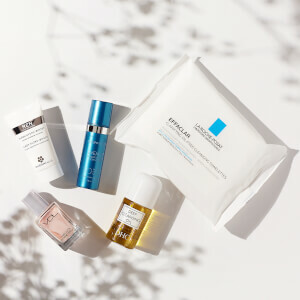 I recently switched all my beauty products to ARCONA, since they use all-natural ingredients and never irritate my sensitive, acne prone skin. This is the only natural line of products that I have used that actually produces results. This serum is very light, and it absorbs quickly. I use it on a clean face, after my toner, and before my moisturizer and treatments. I notice my skin feels softer and has a nice, healthy glow since adding this protective serum to my morning regime. I also use it under my ARCONA raspberry resurfacing peel, an idea I got from the ARCONA spa. A little goes a long way with ARCONA, so one to two pumps is plenty to cover my face, neck, and chest. I highly recommend this product! This serum has an amazing ingredient list chock full of one powerhouse antioxidant after another, with a lovely texture. I always feel so good putting this on my face, like I am fortifying iy with the best anti aging ingredients possible. skin feels refreshed, revitalized, and stronger. Love it! Keeps my skin glowing but does not last all day long, when I used it in conjunction with VC serum, best result I have ever got. I recently tried the Advanced A serum thinking it might have more benefits, but honestly I prefer the Booster Defense serum. It actually brightens my complexion and does diminish the appearance of hyper-pigmentation. Plus it smells yummy. This product is great. I love all Arcona products . They work in harmony with each other to make your skin soft,subtle and vibrant. Defense booster is a great soother and healer. The serum also helps with sun spots. They are pricey but worth the money. I can tell I have tried otc and other brands . I have stuck with their products over 3 years and I do not intend to stop any time soon. I have used this before and really like the way it feels going on my skin...absorbs easily. Has a nice scent , too, so I look forward to using it in the morning.